← Join us for a G Adventures’ Evening — Sept 9! This summer has sure been a hot one! Here at WIT we’ve been thinking about island getaways to stay cool during the season. For those that can’t take the heat in North America or Europe, why not hop on a plane to a cooler island — Iceland, the Faroe Islands, Shetlands, Orkneys, or even the southern hemisphere. This week we’re featuring some of these Islands — click here to catch up on our previous post about the Shetlands — but first up is Faroe. The Faroe Islands are a fascinating destination. Famously shrouded in mist for much of the year, its green slopes and dramatic scenery make for a beautiful stopover from Denmark and/or Iceland. The Faroes are a lonely archipelago in the Atlantic, sparsely colored in cottages and turf-roofed wooden churches. The landscape is dramatic, from stark moors to verdant fjords to craggy mountains shorn with cliffs. Up until the late 19th century, villages mostly kept to themselves. The capital, Tórshavn, boasted a population of only 100 inhabitants in 1900 — a number that has increased to 20,000 today. The landscape is still very remote and undeveloped, and people still maintain a quiet, traditional way of life. It makes for a few days’ or even a week’s escape, with many areas to enjoy bird-watching and ambling from village to village. 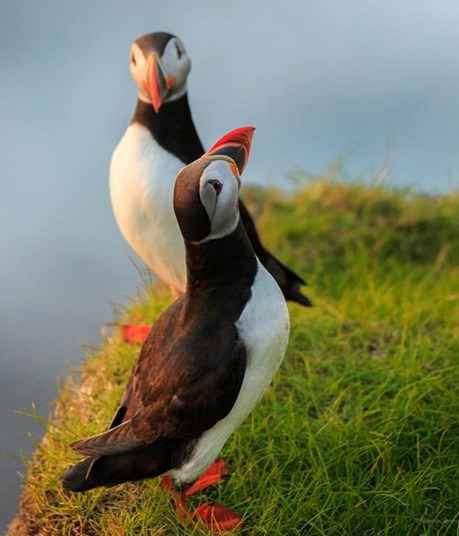 Bird enthusiasts will enjoy glimpses of skulls, fulmars and puffins, most notably on the cliffs of Vestmanna. Try to visit near Midsummer’s Day, an important festival with its roots in pagan rites. Or in July, when the Ólavsøka festival erupts in a happy celebration of boat races, cultural events, procession and dances. Did You Know? The Faroe Islands are technically owned by Denmark, however the culture is distinct. Faroese language is said to be the closest of the Scandinavian family tree to what the Vikings spoke, much like their sister language Icelandic. Tórshavn was named after Thor, the Norse god of thunder. 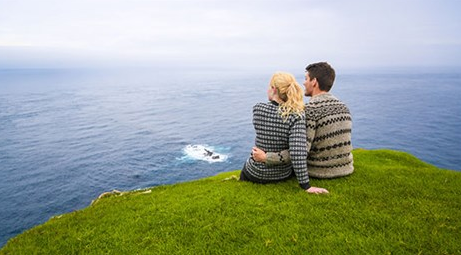 How to Get There: You can access Faroe Islands by air via Reykjavik, Copenhagen, Oslo, Stavanger, and the UK, though due note that timetables are subject to change in winter. You can also reach the islands by boat — Smyril Line serves a passenger ferry from Iceland and Denmark.